VIZ Media, LLC, the largest distributor and licensor of manga and anime in North America, notably expands its publishing roster as it announces the acquisition of the supernatural action manga series, Twin Star Exorcists. Created by Yoshiaki Sukeno, Twin Star Exorcists is set to launch in the Summer of 2015 and will be published in print and offered digitally under the company’s Shonen Jump imprint. Twin Star Exorcists is rated ‘T’ for Teens. The series, which has released 3 volumes to-date, is ongoing in Japan. In the series, beings from the dark realm of Magano creep into our world and can only be expelled by talented exorcists. Rokuro is from a family of exorcists, but after a terrible disaster, he’d rather be a singer, a soccer player or anything else! He’s forced to own up to his incredible potential by the arrival of Benio, an exorcist who’s more than his match and stirs his competitive spirit. 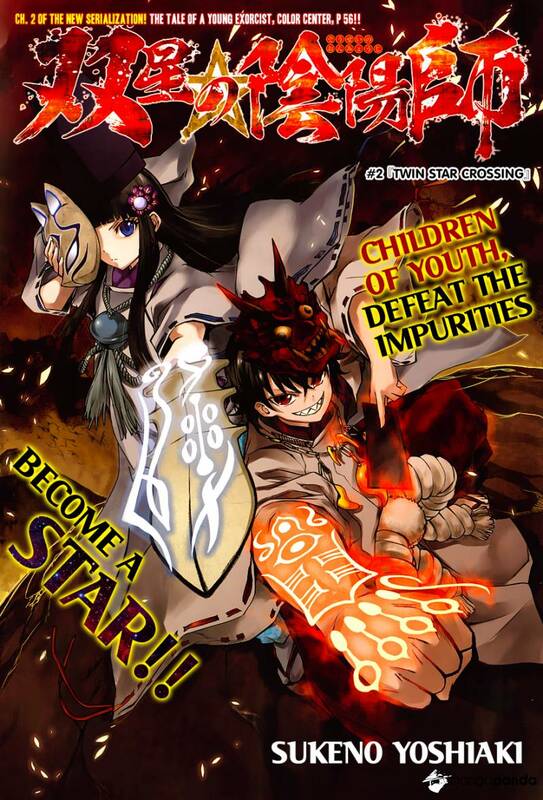 When neither can top the other in supernatural combat, they earn the title of “Twin Star Exorcists” — two supreme fighters fated to marry and birth the ultimate spiritual warrior. Will these rivals fall in love? The fate of two worlds hangs in the balance! Creator Yoshiaki Sukeno’s previous series, the supernatural manga comedy Binbougami ga!, was adapted into the anime GOOD LUCK GIRL in 2012.